Upon the successful introduction of the AORUS GTX 1080 graphics card in January, GIGABYTE, the world’s leading premium gaming hardware manufacturer, is proud to announce the grand launch of its complete premium graphics card lineup. With the latest Pascal gaming flagship GeForce® GTX 1080 Ti leading the way, each new AORUS graphics cards is powerfully built with dominating performance, unrivaled aesthetics, and rock-solid durability to elevate gaming experience to the next level for PC gaming enthusiasts. 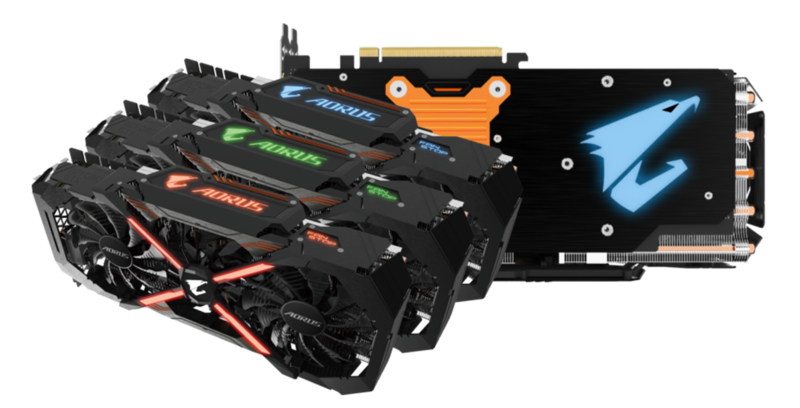 The new AORUS graphics card family consists of the GTX 10 Series, including the AORUS GTX 1080 Ti 11G and AORUS GTX 1080 Ti Xtreme Edition 11G, the AORUS GTX 1080 Xtreme Edition 8G, and the AORUS GTX 1070 8G. The Xtreme Edition boasts even higher clock speed and advanced features designed to push the performance to the ultimate. 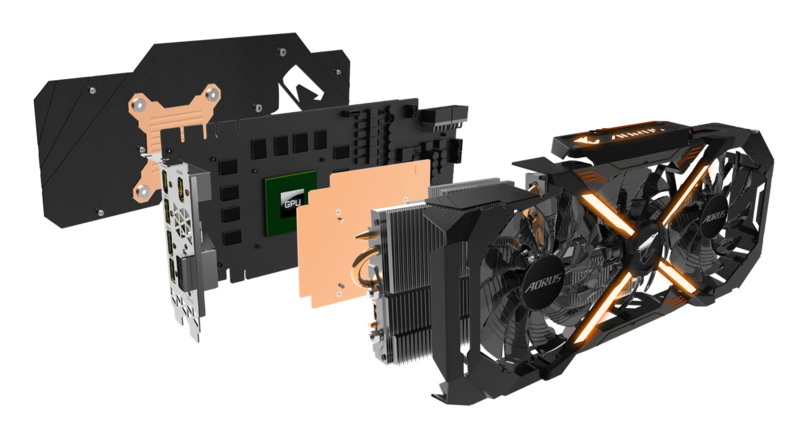 Later in April, AORUS will also release its GTX 1080 and GTX 1060 models with revamped memory speed for supercharging the performance to a new height. 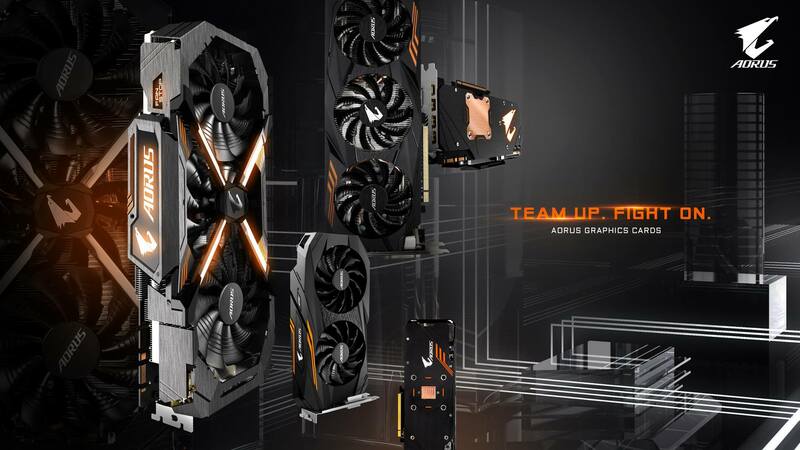 In addition to the NVIDIA GeForce GTX 10 series, AORUS will soon roll out a series of four new dual-fan graphics cards powered by the upcoming AMD Radeon™ RX 500 series GPU to complete its air-cooling lineup. AORUS will also make a push on the liquid cooling front with one closed-loop and one open-loop WATERFORCE models coming in the near future. 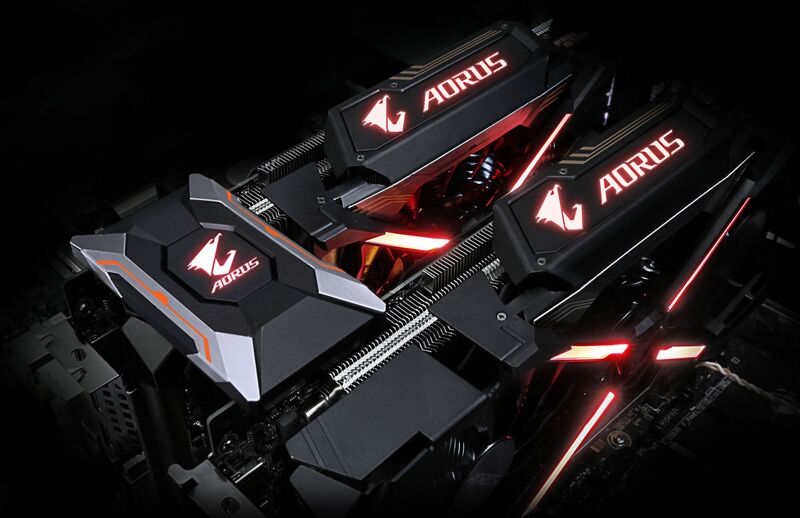 For enthusiasts looking to boost gaming performance to the extreme, the new AORUS SLI HB Bridge doubles the available transfer bandwidth for the smoothest gameplay, delivering the optimal gaming experience at 4K and beyond with the 2-way SLI configuration. Available in 1-slot and 2-slot spacing, the SLI HB Bridge also features customizable RGB lighting that can synchronized be with the AORUS GTX 1080 Ti and GTX 1080 graphics cards. The new AORUS GTX 1080 Ti/1080/1070 graphics cards pack the highly-acclaimed WINDFORCE Stack Cooling module. All critical interior cores are properly cooled with a large metal base plate and thermal pads for improved thermal dissipation. Excessive heat from GPU can be dissipated through the copper back plate, providing a well-rounded, total cooling solution. The patent-pending 100mm stack fans provide larger and smoother airflow over the heatsink compared to the conventional triple-80mm-fan configuration. The overlapping design allows for more heatsink coverage as well, together delivering a maximum 10% cooling enhancement. The semi-passive fans will remain off when the GPU is under idle or low power gaming. The LED fan indicator on the top of the graphics card provides an instant display of the fan status. The AORUS cards well prepare gamers for VR with the patented AORUS VR Link technology for providing the most flexible and VR-friendly output connectivity while using HDMI displays at the same time without having to swap cables or use any additional adaptors. Outputs are automatically detected upon restarting PC with no additional setting needed. With the VR devices require frequent plugging and unplugging, it can be a hassle when routing the cables from the back of a PC. The new AORUS GTX 1080 Ti Xtreme Edition features 1 native front-facing HDMI port for conveniently connecting a VR device from the front and 2 more native HDMI ports available at the back, allowing for a neat, clutter-free display arrangement that fits every gaming needs. The customizable RGB lights on the AORUS graphics cards spark a fierce gaming look. The Xtreme Edition further comes with an illuminating RGB logo on the back plate as well to style up the game from every angle. Gamers are free to customize with virtually unlimited color options and light effects and synchronize with other components with GIGABYTE RGB Fusion, making each gaming rig unique and personal. Reinforced with extra power phases, the AORUS graphics cards guarantee supreme overclocking capability with enhanced power efficiency at lower temperature. The use of premium-grade chokes and capacitors also ensures superior durability for a longer system lifespan. The aerospace-grade PCB coating protects the card against moisture, dust, and corrosive contaminants. The metal back plate further strengthens the structure while giving the card a sleek, gaming outlook.